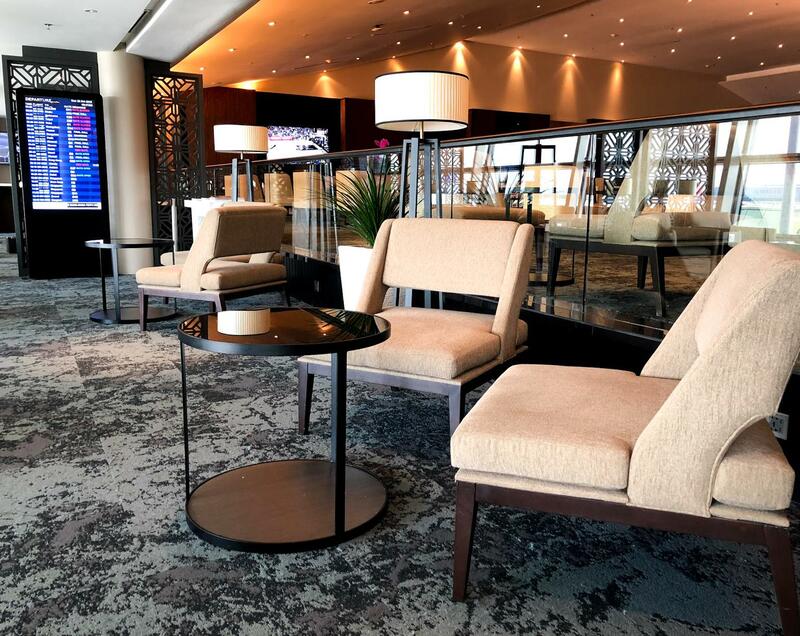 This sleek lounge opened its doors in March 2018, after undergoing a lengthy renovation period. 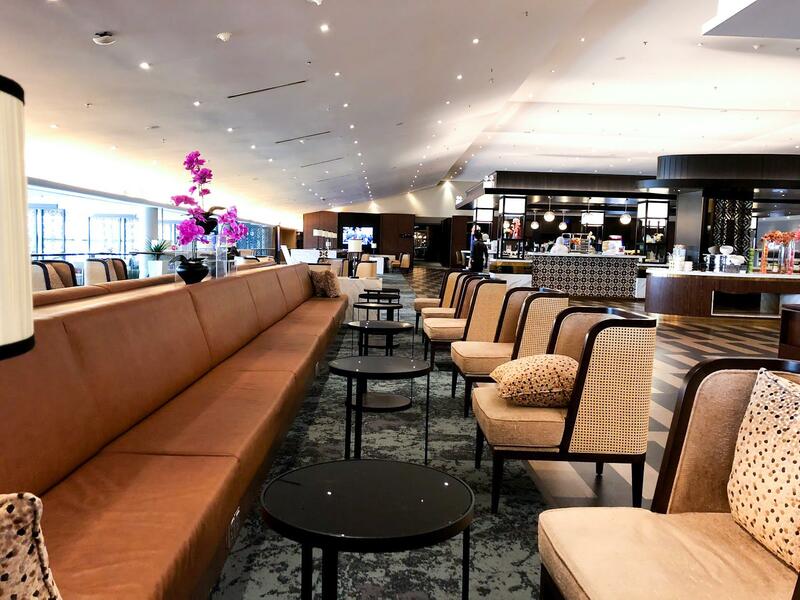 It is now one of the better Business Class lounges in the Asia-Pacific region, with a vast space divided into multiple zones, and plenty of food and beverage options. 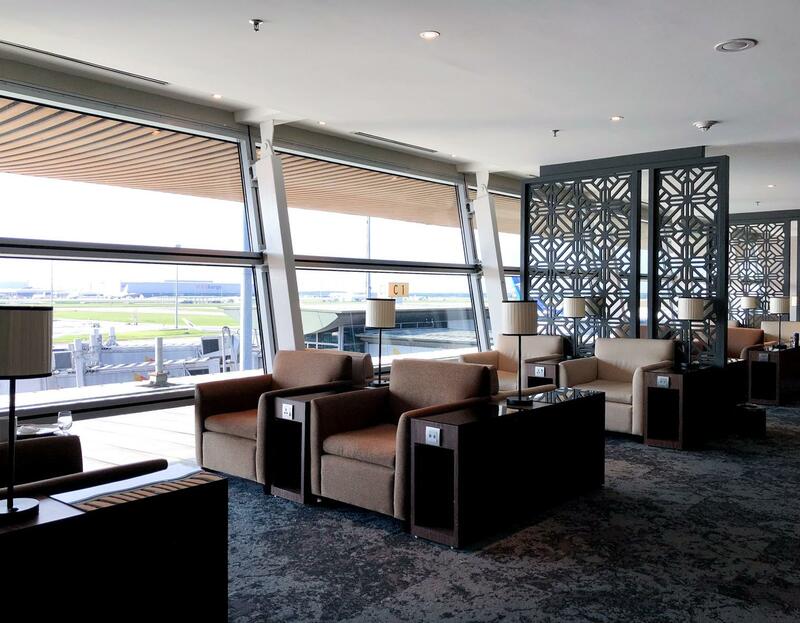 The Satellite Golden Lounge is located within the Satellite Terminal of KLIA, accessible to all international departing passengers via the Aerotrain—even those on shorter intra-Asia flights that might depart from the Main Terminal. Signage for the lounge is not great so it is easiest to just remember that the lounge is directly on top of the Aerotrain station. 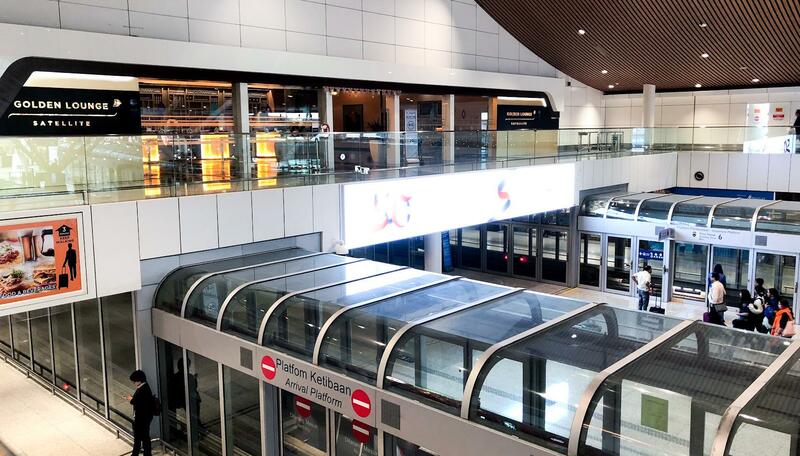 Once you have hopped off the train, head away from the lounge until you come across some escalators, go up one level, then backtrack to where the main entrance is. As you walk in, there is a small waiting area in case you have guests. 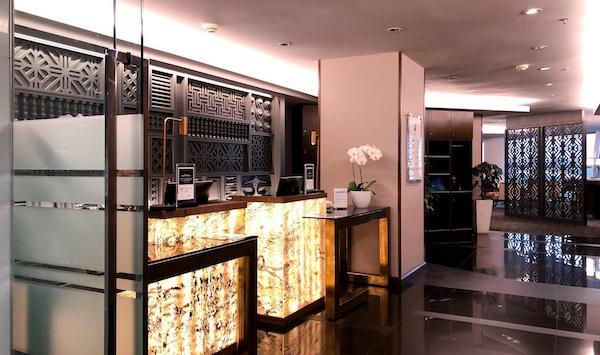 Flash your boarding pass at reception, then head left for the Business Class lounge (the Platinum ‘First Class’ lounge is on the right). 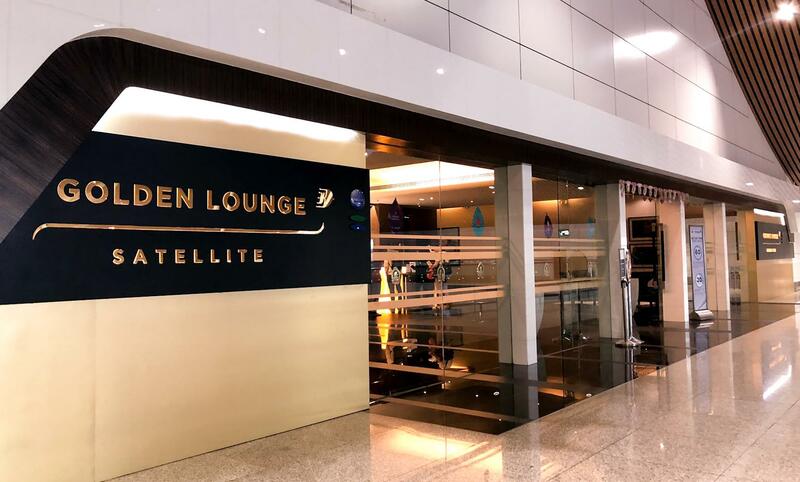 The Satellite Golden Lounge is open 24 hours a day, so it is possible to try nap overnight if you have a long transit and an onwards boarding pass. 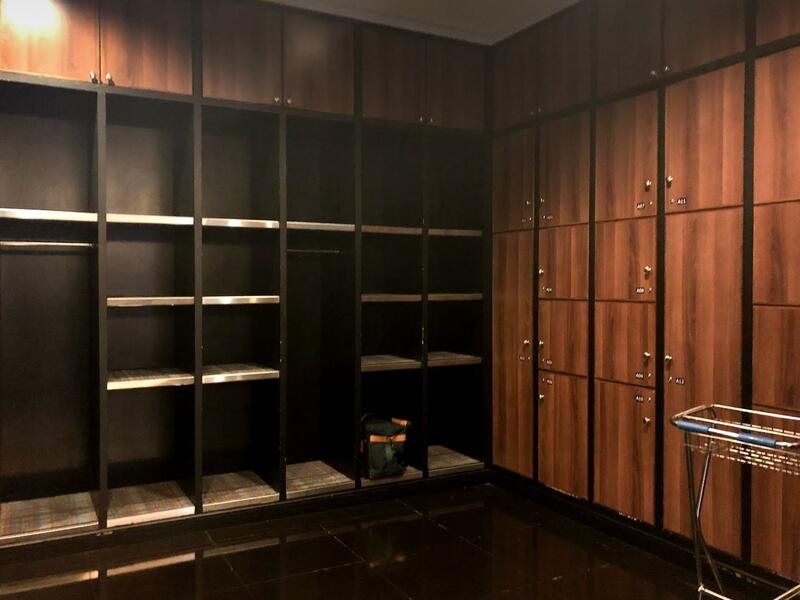 Immediately to the left of reception is a small luggage storage area. As you walk in further, you will find the bar set in a small nook also to the left. There is lots of high seating here, perfect for socialising over a drink. It is also one of the last parts of the lounge to fill up, making it not a bad place to work from if you need somewhere quiet. 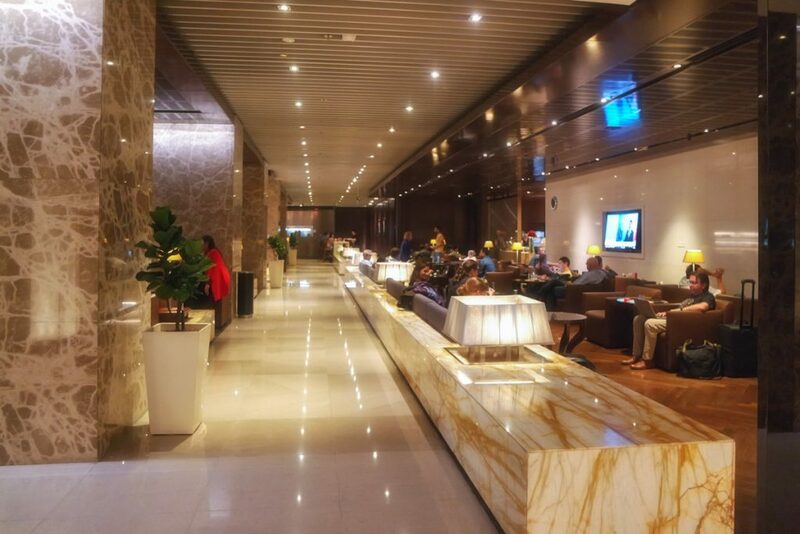 Moving past the bar, you enter the lounge proper, which is basically a cavernous rectangle. There is seating for hundreds of people lining the long sides of the lounge, with a mix of sofa benches and individual chairs. 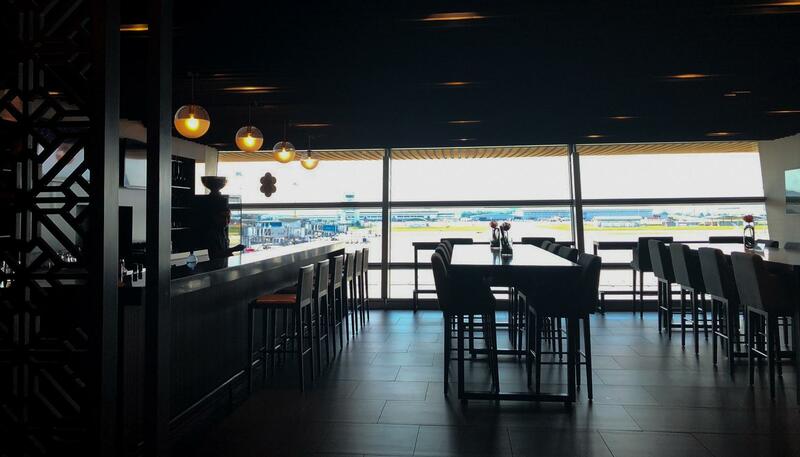 The left side faces the tarmac, with plenty of paired chairs adjacent to the windows. Some are more suited to solo travellers with individual power outlets, while others are subtly rotated around a shared table and designed for duos. 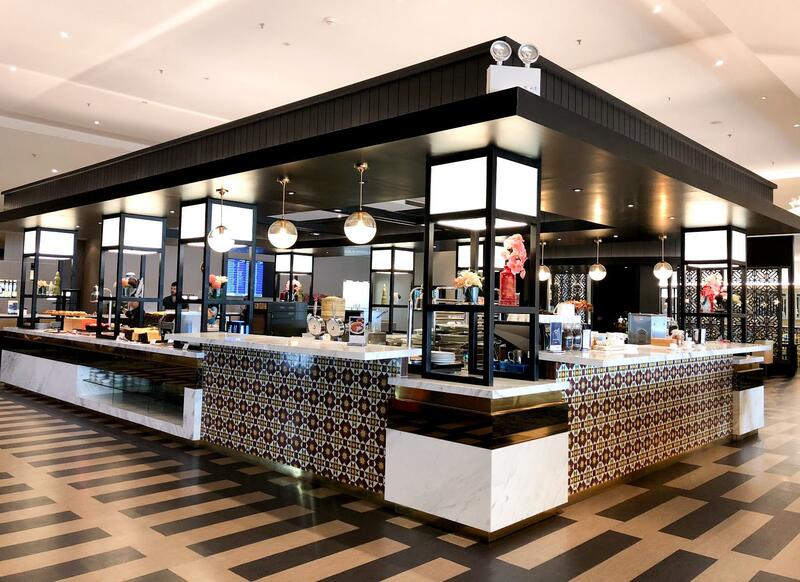 On the right as you walk in, you will find the noodle bar, complete with a retro-cafe fitout. The main open kitchen proudly takes centre stage in the belly of the lounge. 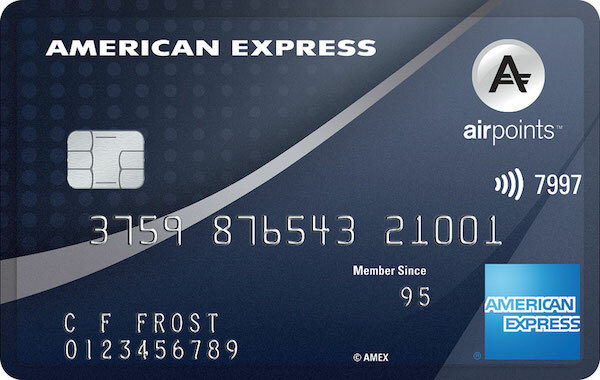 There are stations for hot and cold food, made-to-order snacks as well as a barista service. 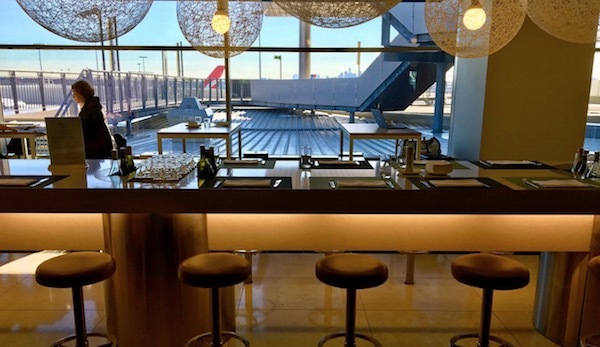 High bar tables are used to break down the lounge into separate zones, keeping the lounge seating away from the main dining area. 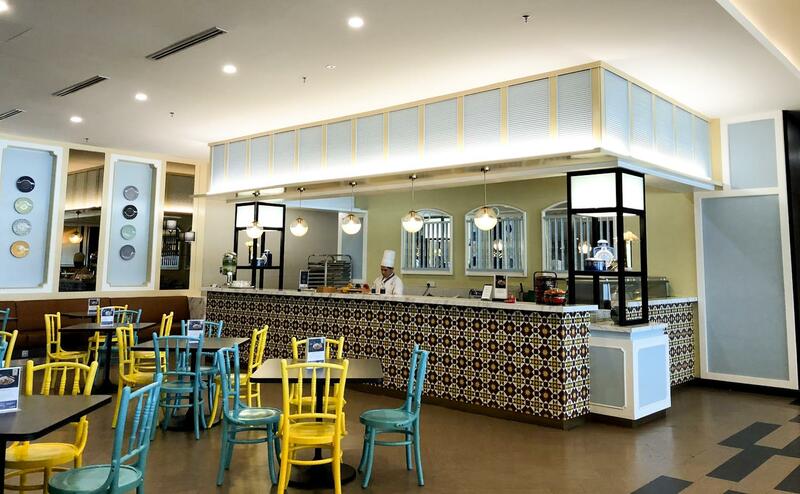 Beyond the kitchen is a food court-style dining area which is ideal for groups. However, there are no power ports in this section. 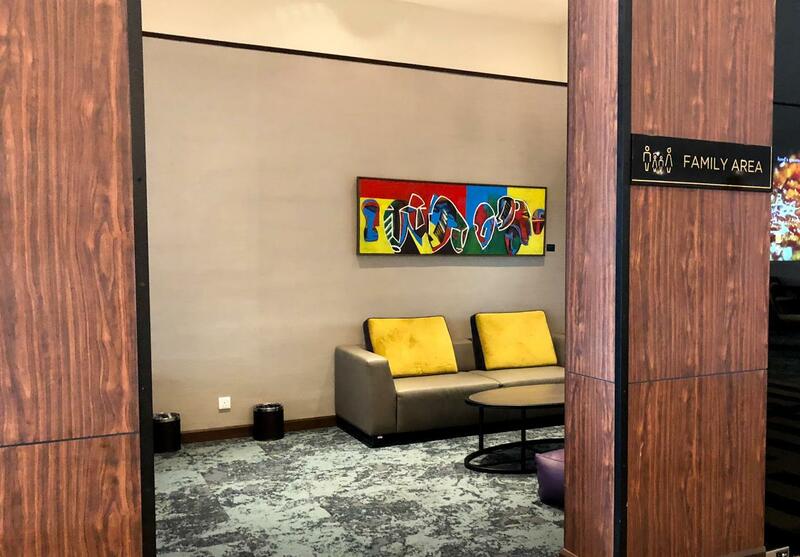 Finally, at the far end of the lounge, you will find all the other amenities here—spaces to shower, nap, pray and keep the kids entertained. 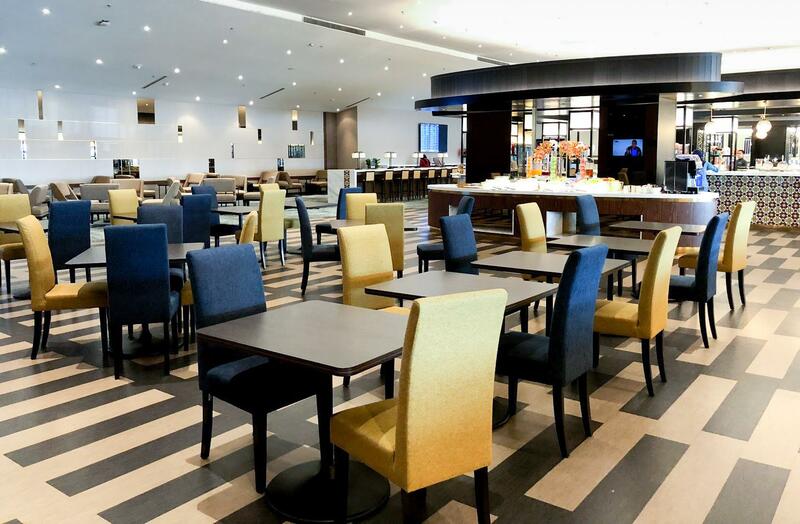 This lounge offers a large selection of food and drinks, which includes both hot and cold buffet items and made-to-order meals. The following items were available on order at the noodle nar, including breakfast time. 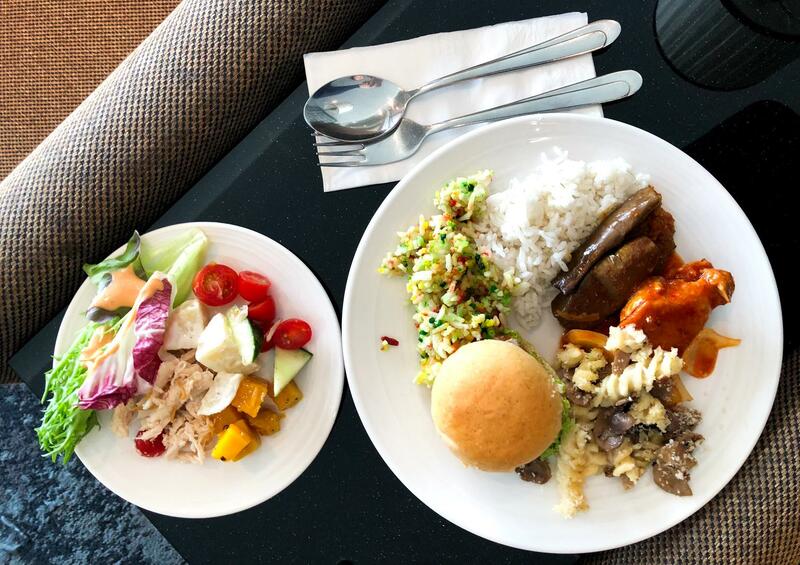 In the morning, the selection of hot foods available includes your typical western breakfast items, such as baked beans, hash brown and scrambled eggs. As expected, the lounge also caters for local tastes, which in Malaysia means DIY nasi lemak, and chicken siu mai (dim sum). Plain toast and assorted pastries are also available, with the usual butter and jams. For something different, you can get made-to-order kaya toast or waffles from the main kitchen. 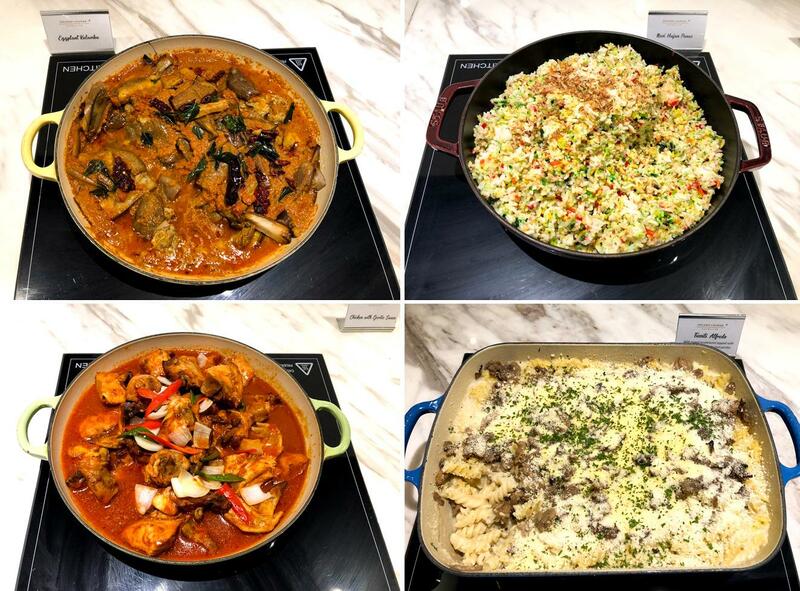 At about noon, the buffet changes over to more substantial foods, including chickpea soup, eggplant curry (clockwise from top left), rainbow rice, chicken with garlic sauce and fusilli alfredo. A selection of filled sandwiches is available as well. At the salad bar, you will find chicken, Greek, pumpkin and potato salads. For a sweet finish, mini fruit tarts and chocolate batik cake are available near the salad bar, along with artfully-cut fruits. 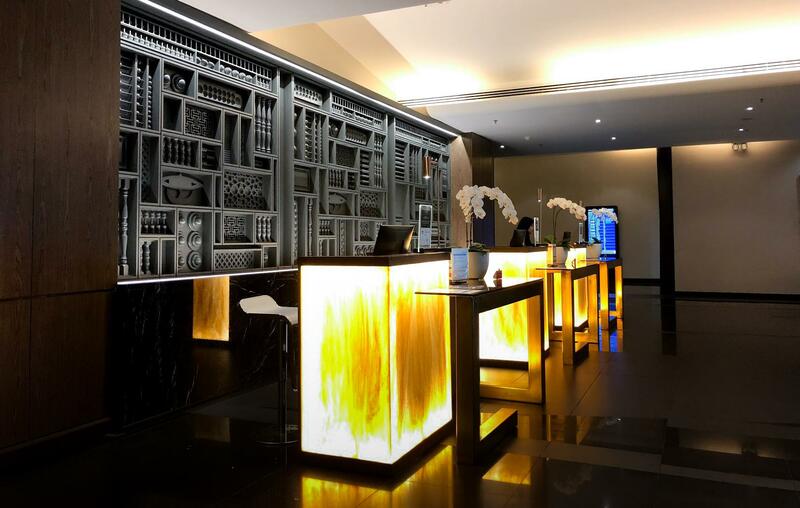 Drinks in the main lounge area are all non-alcoholic—you will have to head back to the bar near the entrance to grab a tipple. 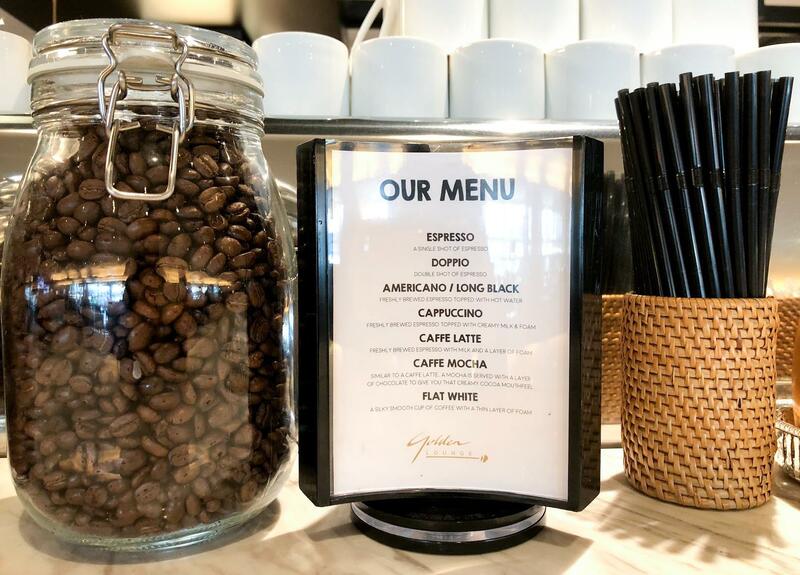 Although it is unlikely to be comparable to your favourite brew back in Australia, a counter on the centre kitchen does serve up barista coffee. Tea is also made here. If you are in a hurry, there is a simpler coffee machine for a quick pour. 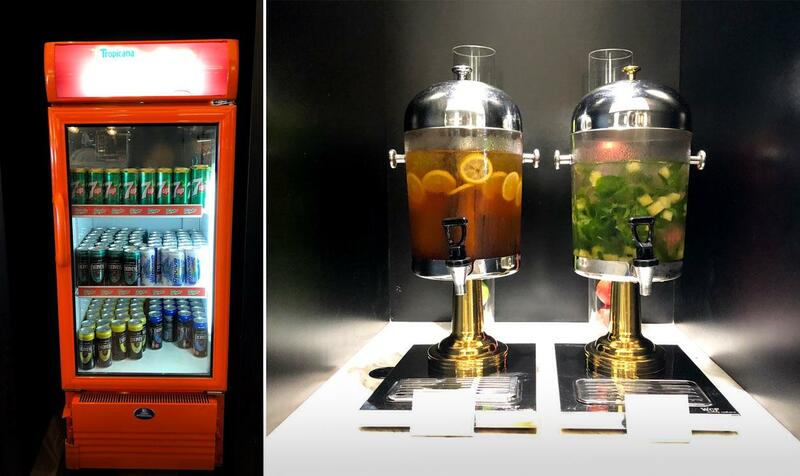 Other assorted juices, infused waters and soft drinks are stocked at the nearby drinks station, where you can help yourself. Back near the entrance, the bar can whip up simple cocktails on request. 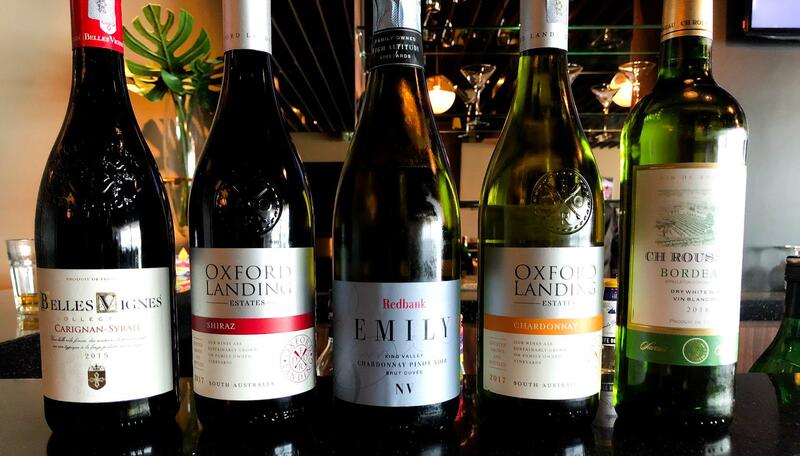 Some basic red and white wines, as well as the usual liquors, are also available. Beer drinkers can enjoy a bottle of Carlsberg or Tiger. 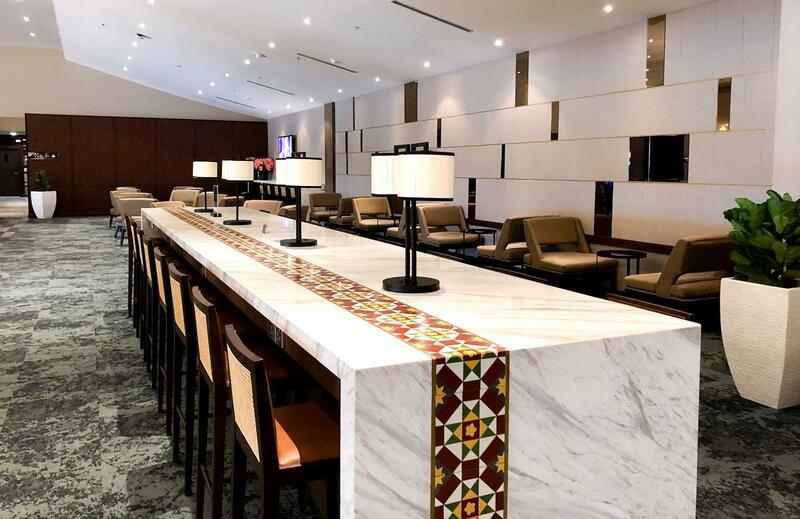 You can bring food into the bar area, and as mentioned before, it can be a pleasantly quiet area to work, away from the hustle and bustle of the main lounge. Basic WiFi is broadcast around the lounge, but speeds are decidedly average, with upload and downloads less than 4 Mbps. 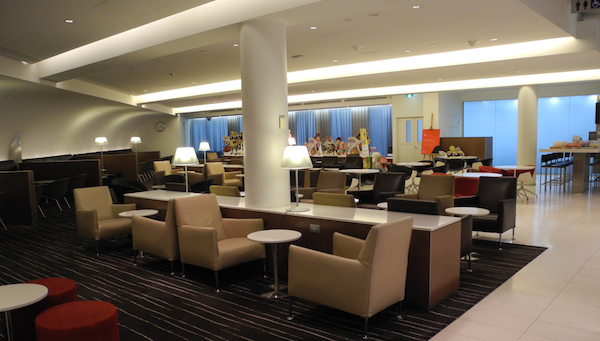 All the lounge facilities are at the far end. There is a family area with two sections for keeping the young ones in check. Prayer, nap and restrooms are all separated by gender. The female nap area consists of five comfortable and dimly-lit berths. Blankets are available on request from a nearby desk. Staff members will periodically pop in and check on you to ensure you do not miss your flight. They will also offer to provide a wake-up call if you organise it in advance. Bathrooms are modern and well-appointed. Each toilet cubicle has its own handwash basin as well as the communal sinks outside. 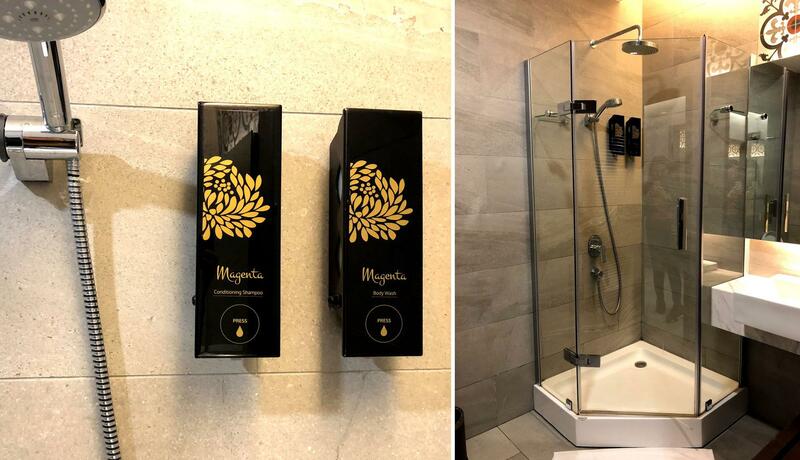 There are also a few shower suites available with dispensers of shampoo and body wash. 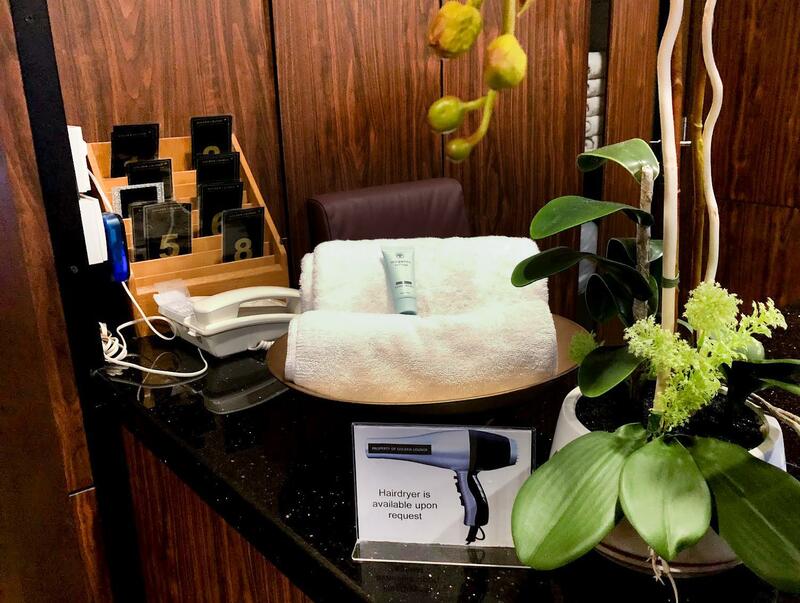 Towels and hair dryers are available upon request from the service desk situated just outside of the washrooms. 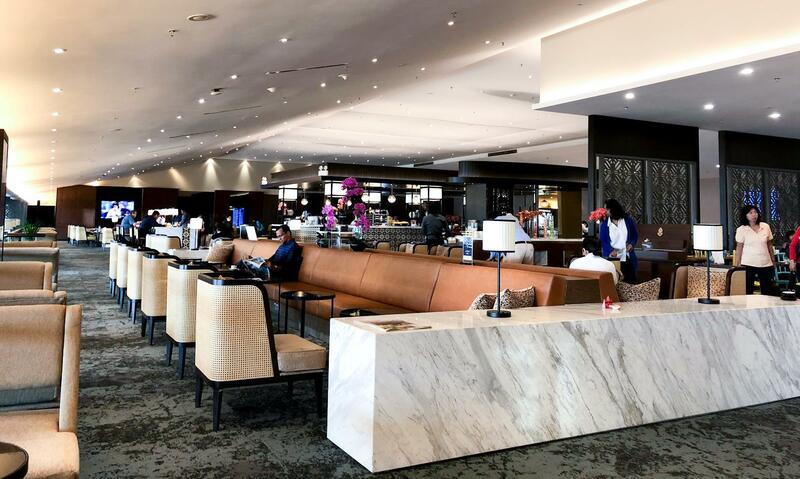 The Malaysia Airlines Satellite Golden Lounge is a great example of the new flagship home base Business Class lounges we are starting to see. 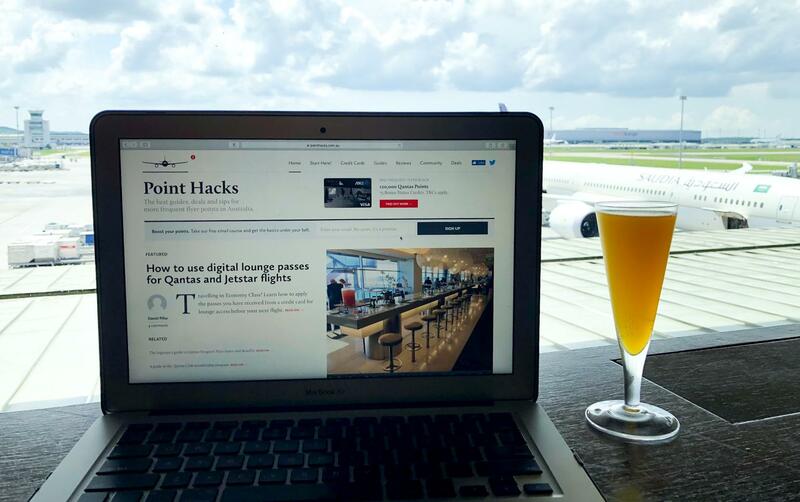 I would personally rate it under Cathay Pacific’s lounges in Hong Kong (particularly The Pier) but better than Singapore Airlines’ SilverKris lounges in Changi T3. 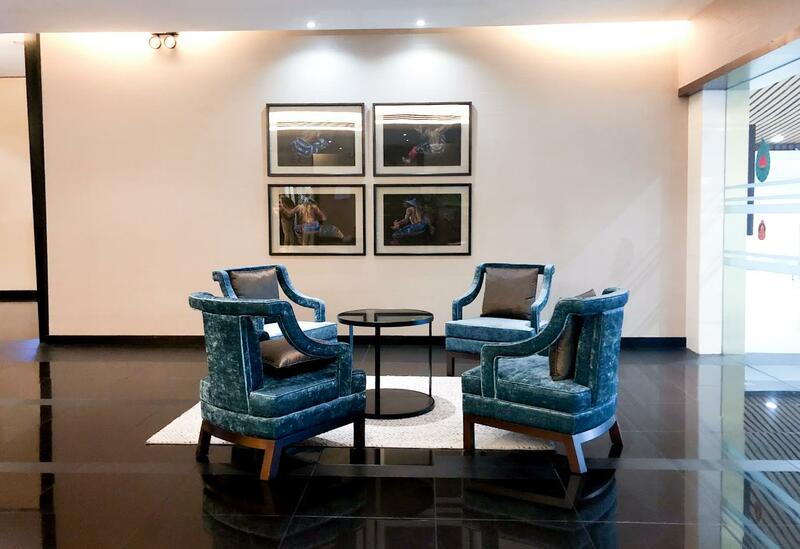 The service from the staff was excellent—they were constantly cleaning away used plates and keeping the lounge spotless in general. They were also very friendly. The variety of food and drinks on offer was satisfying, especially after midday. 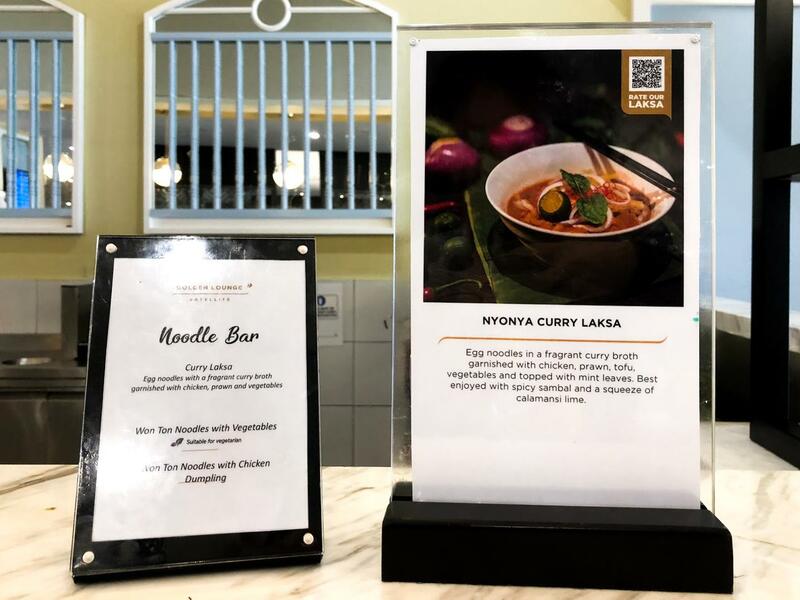 Having a made-to-order noodle bar in addition to multiple hot dishes means there is something for everyone. 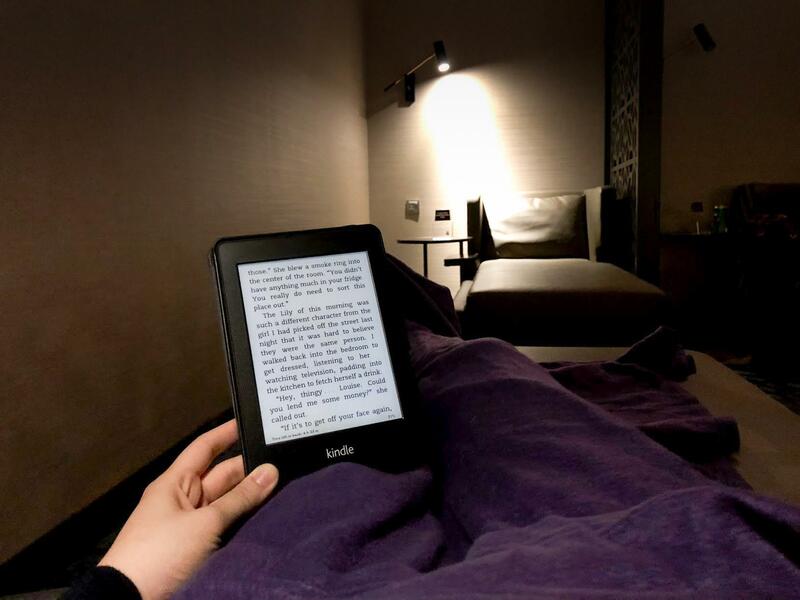 Shared nap rooms are a definite bonus for a 24-hour lounge, and it was dark and quiet enough for me to catch an hour of rest without any interruption (minus a loud snorer nearby). 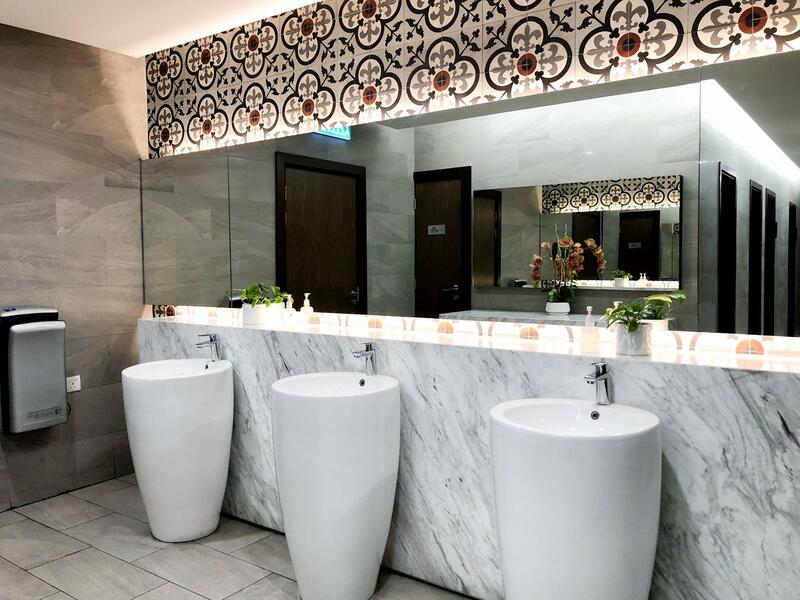 Bathrooms and showers are adequate for travellers who are transiting in Kuala Lumpur or have spent the day in the humid outdoors. Power outlets are scattered extensively around the lounge, with the only absence being in the dining room. 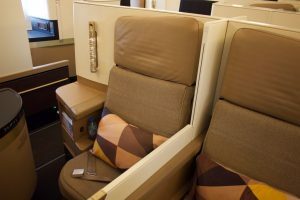 Even during busy periods, it should be easy enough to get a seat and a power port. There is not much to fault about this lounge. If being picky, there is not a business centre with desktop computers in case you do not have your own devices. The WiFi definitely could be faster, as it is not very useful for any demanding applications. 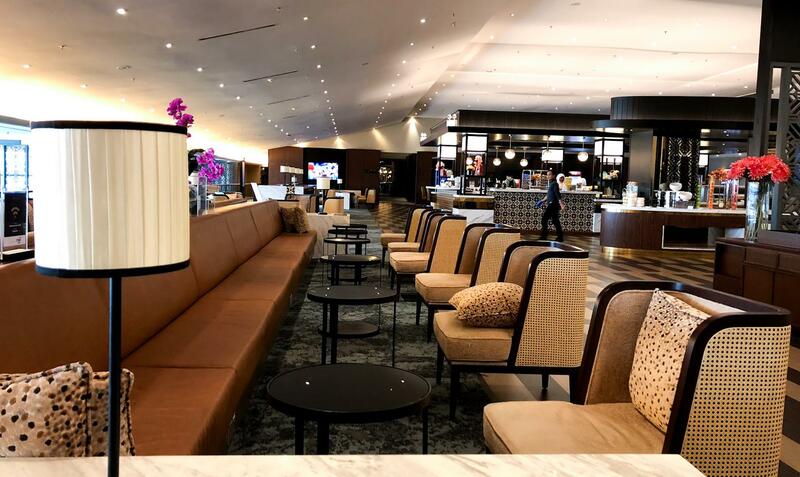 Overall, this lounge is a great reflection on Malaysia Airlines’ focus on turning around and improving its brand, and it should serve their passengers well for the years to come.